Vice-Chancellor of Rabindra Bharati University, Kolkata Professor Sabyasachi Basu Ray Chaudhury on Wednesday paid a courtesy call on Dhaka University (DU) Vice-Chancellor Professor Md Akhtaruzzaman at his office of the university. 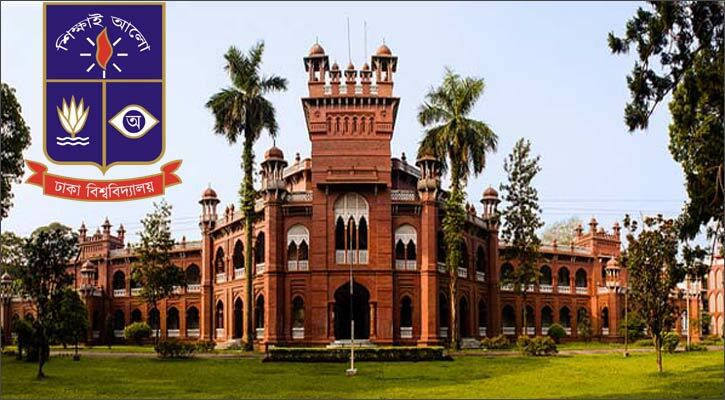 He was accompanied by Professor Aditya Prasad Mitra, Dean of the Faculty of Visual Arts, Professor Ashis Kumar Das, Director of Centre for Bangladesh Studies, Professor Ishani Naskar and Dr Chitta Ranjan Mondal of the same university, said a DU press release. Proctor of DU Professor AKM Golam Rabbani, Chairperson of the Department of Dance Professor Rezwana Choudhury Bannya and some other teachers, among others, were present on the occasion. During the meeting they discussed the possibilities of strengthening the ongoing joint collaborative academic and research programmes being conducted by the DU and Rabindra Bharati University, Kolkata. Holding of 'DU Festival' in Kolkata in December under joint auspices of the two universities were also discussed at the meeting.